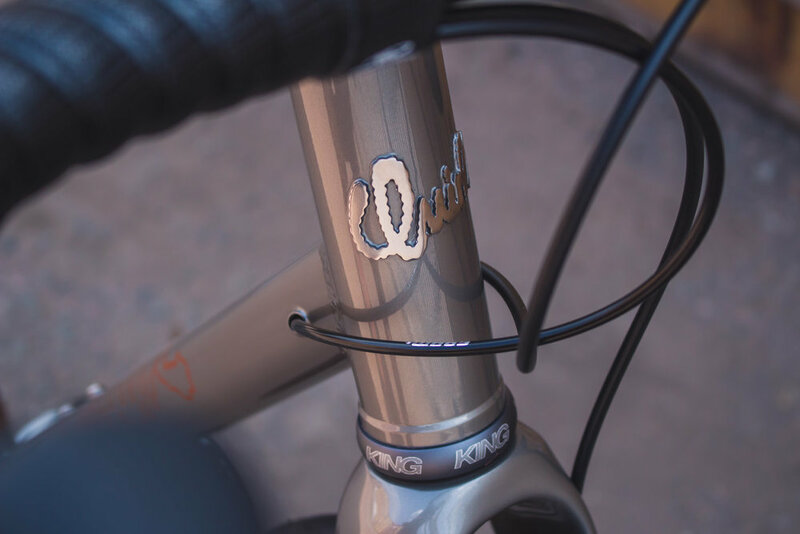 Rich's Classic All-Road — Quirk Cycles | Custom Steel Bicycles Handmade in London by Framebuilder Rob Quirk. Sometimes the simple builds are the best ones and Rich’s clean understated build is no exception. 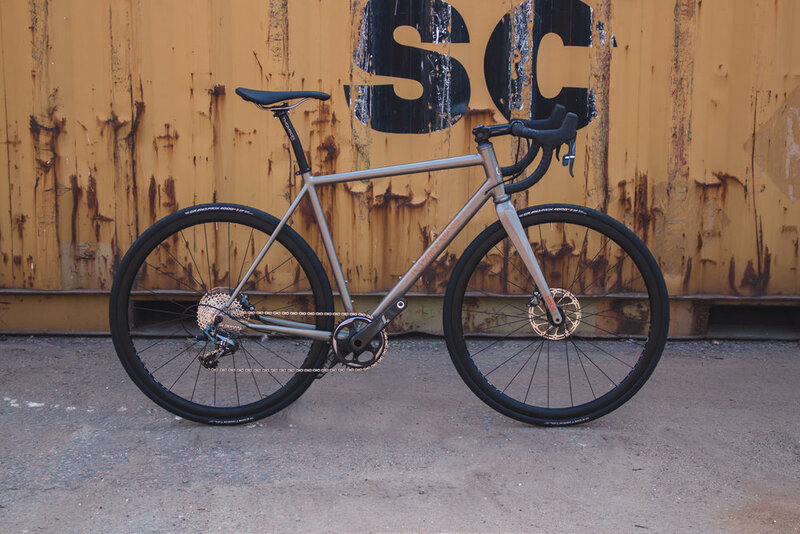 With a SRAM 1x11 drivetrain for unfussy shifting and classic Thomson Elite finishing kit for the controls, understated eloquence rules the roost here. 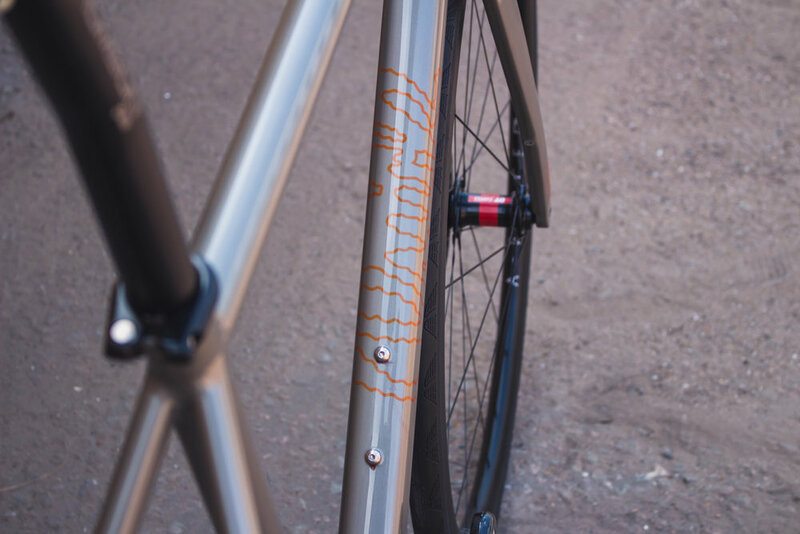 Even the welds are left unfiled on this one for the ultimate leave-it-on-the-road finish. 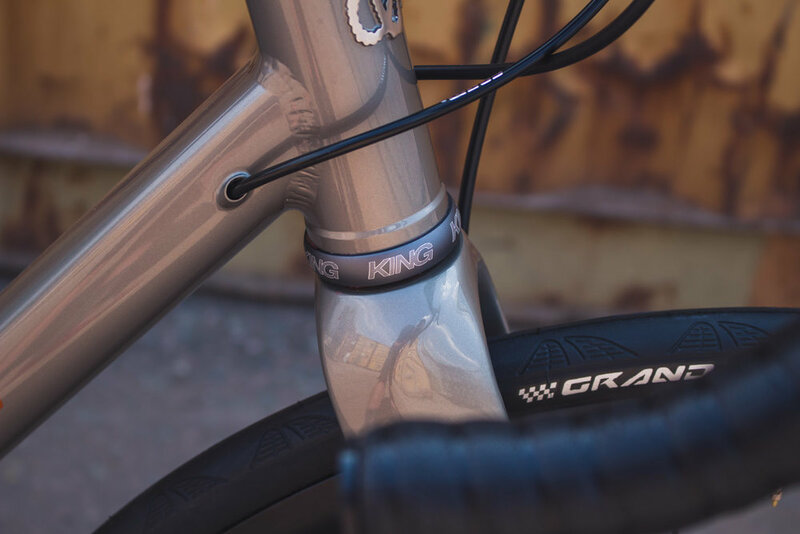 The process was quite straightforward, Rich know from the off that he wanted one of our road bikes, it had to be 1x11 shifting, internal routing and the paint had to be silver. The rest was down to us. Perhaps the ting that was the most difficult decision were the wheels. 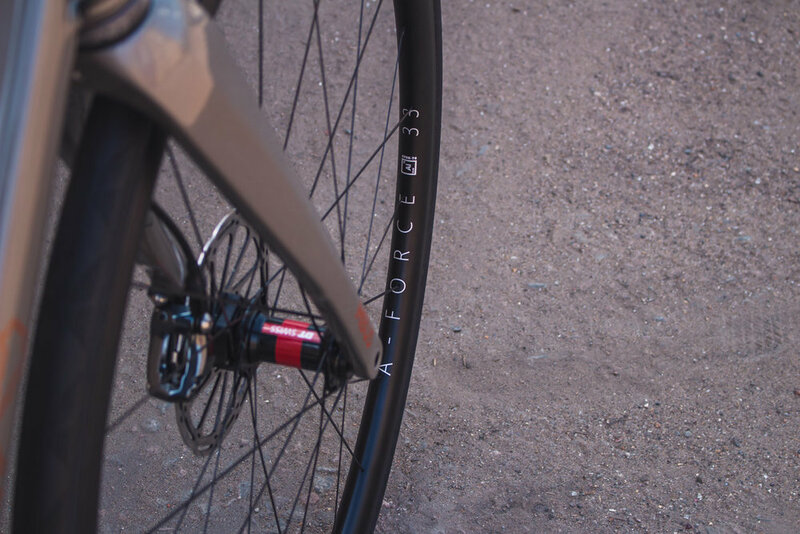 Rich knew he wanted handbuilt but we went through many iterations before settling upon DCR Wheels recommendation of Force Al33 rims laced to DT 240’s. One of the things we enjoyed most about this build was Rich’s attitude, he did;t need all the bells and whistles and with this in mind we kept those welds unfiled. We think it’s better for it! Definitely one of our favourite builds.